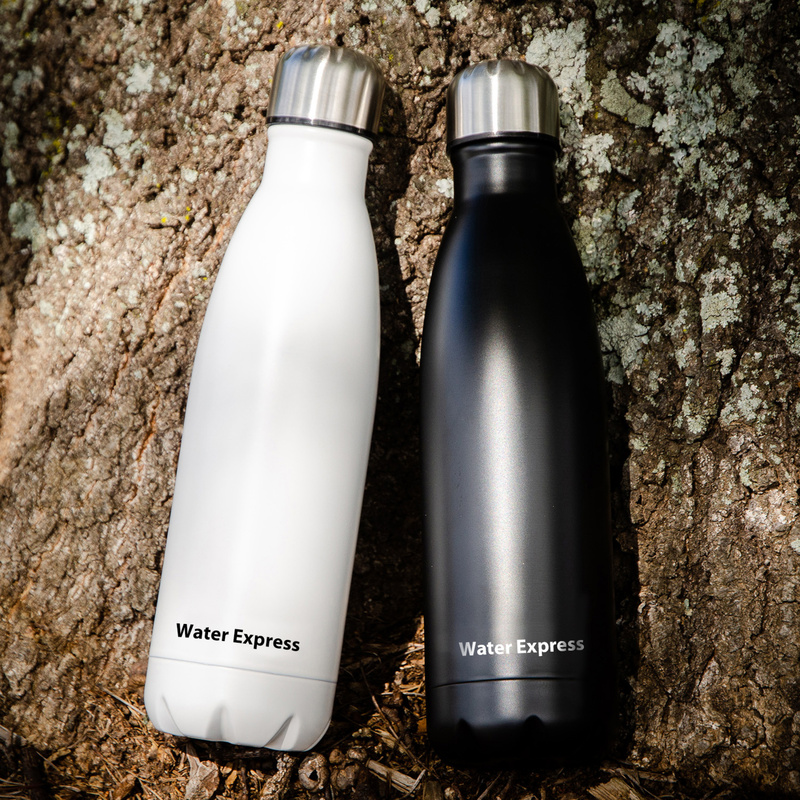 The leak-proof and sweat free design make each sturdy, BPA-free bottle perfect for home, office, cycling, hiking, camping and traveling. 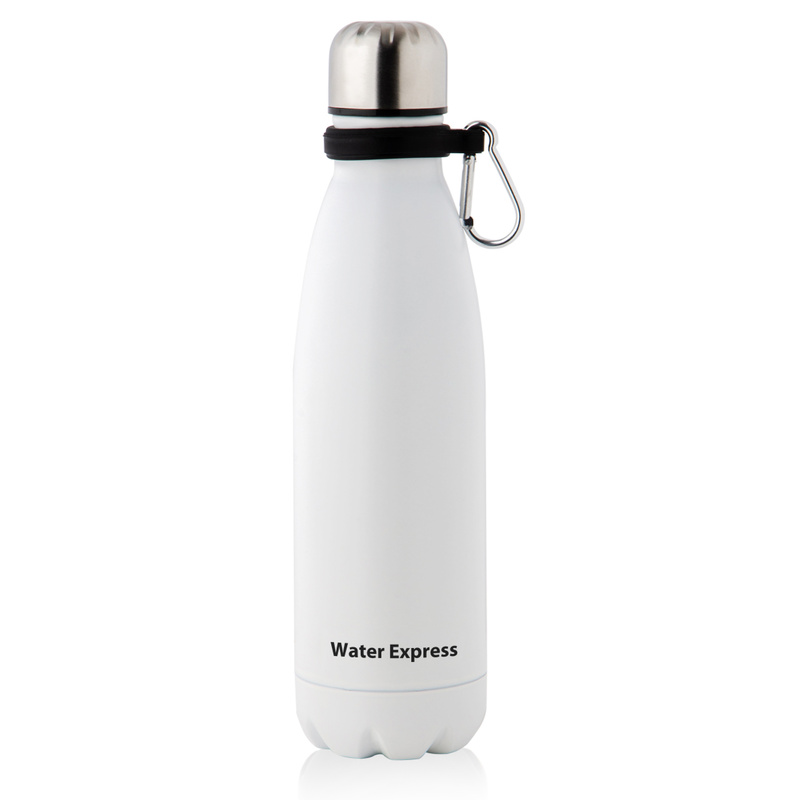 500ML (17 Oz) capacity fits perfectly in the cup holder in your car. 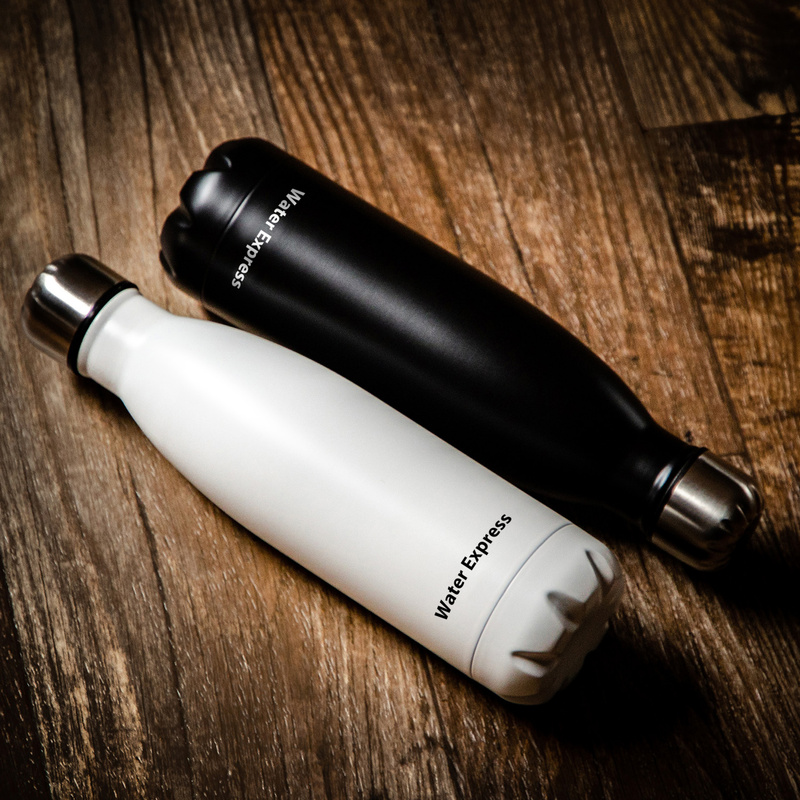 With an additional removable carrying handle provided, you can snap this bottle easily on your backpack or bike, making commuting and traveling with our bottle a breeze. 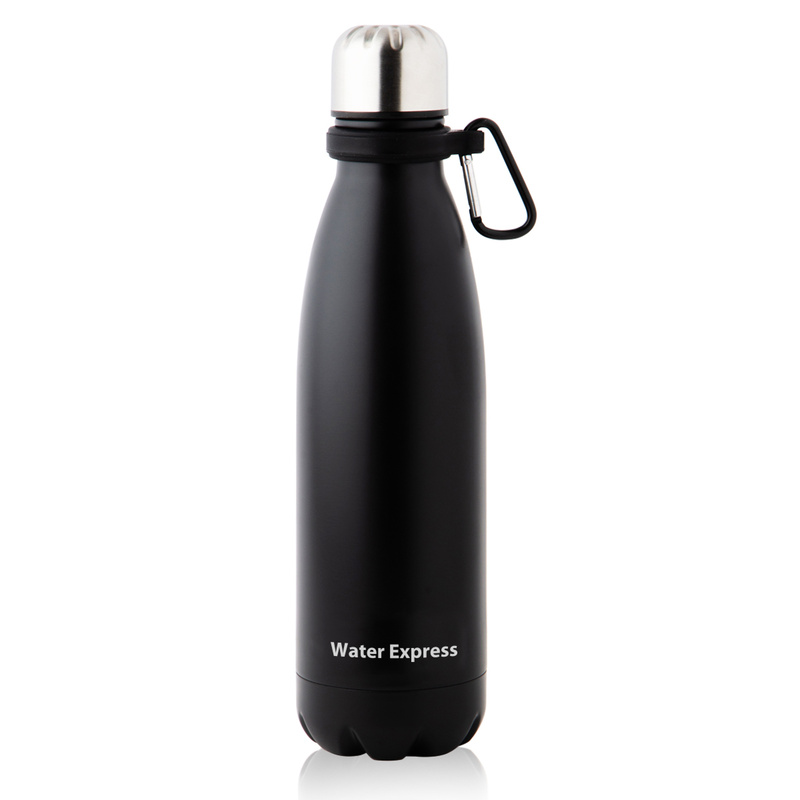 This Stylish insulated bottle is made of high quality food grade 18/8 stainless steel and is BPA free. The steel is rust free and does not contain any odor or flavor. The double-wall vacuum sealed body and lid prevent any heat or cold from transferring through, so it can keep liquid cold up to 24 hours and hot for about 10 hours. Also, this feature ensures that no sweating occurs on the exterior body. The 500ML (17 Oz) capacity size fit perfectly in cupholder in your car.